Reclaimed Douglas Fir lumber, fabricated steel, plexi, water, and light. This work was built on site at Socrates Sculpture Park in Long Island City, NYC the summer of 2014. I was one of 15 artists to receive the Emerging Artist Fellowship in which artists are given a stipend to build a sculpture in the outdoor studio space on site for exhibition for the following 6 months. 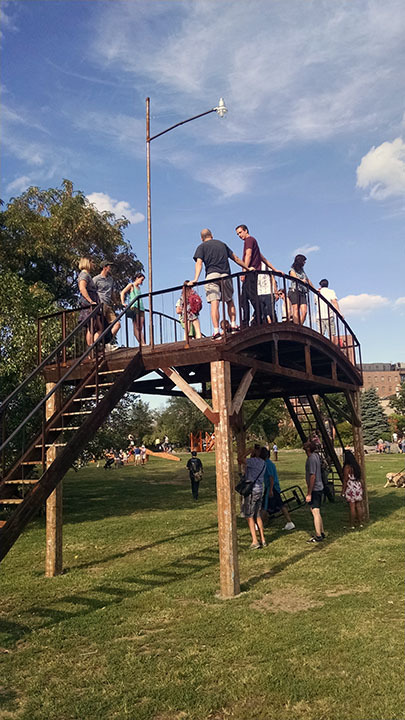 Raised on a small farm in upstate New York, Dane Winkler offers his perspective on the urban environment surrounding Socrates Sculpture Park. In Moon Lasso, Winkler combines elements from his rural upbringing with local more urbane elements, creating both material and conceptual juxtapositions that engage viewers through the interactive application of hard craftsmanship and poetics. Moon Lasso consists of a rustic bridge constructed from patinated salvaged lumber that appears anachronistic in Socrates’ post-industrial environment. 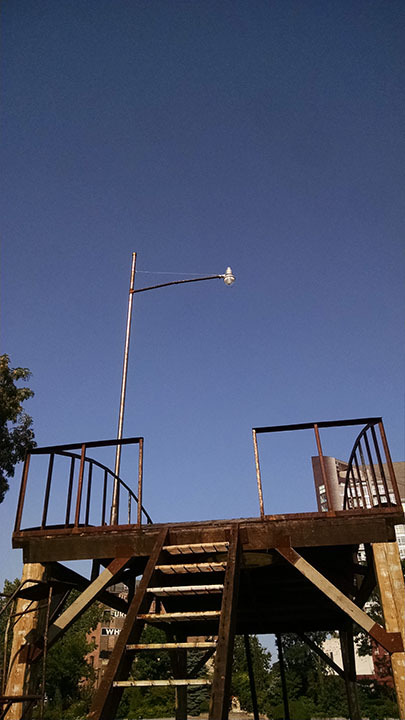 A lamppost, dimly glowing each night, extends above the apex of the bridge, already elevated over 25' from the ground. 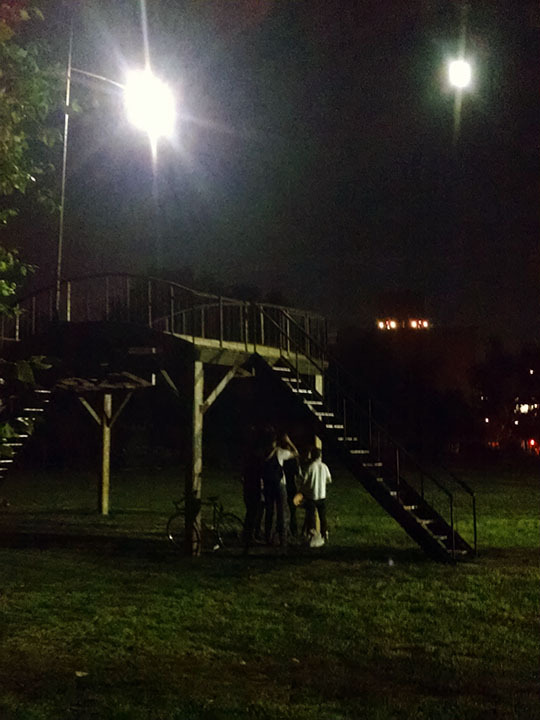 Looking into the placid glow of the lamppost, traversing the bridge, or kicking at the dirt and old lumber underfoot, nostalgia is all but impossible.